A tour dedicated to lovers of nature, hiking and photography! Let us discover the Trieste surroundings and take in enchanting views, travel along evocative roads by coach and on foot and take advantage of the nature that surrounds us to challenge our photographic eye and take amazing pictures. We leave the port of Trieste by coach and travel along the evocative coastal road overlooking the sea that provides views of striking beauty. We reach Sistiana, a popular holiday destination in Austro-Hungarian times. It’s a peaceful town with a lovely tourist port surrounded by diverse karst views. We get off the coach and go for a stroll admiring the most beautiful and evocative views of the area. The trail overlooks the sea and is named after the poet R.M. Rilke who, while staying at Duino Castle at the start of the past century, wrote the famous “Duino Elegies”. After the walk, we have some free time to take a few pictures, relax or even visit Duino Castle, the historic residence of the princes von Thurn und Taxis. Once back on our coach, we continue inland and, driving through the karst towns of the Trieste province, we reach Opicina, terminus of the famous Trieste tram. 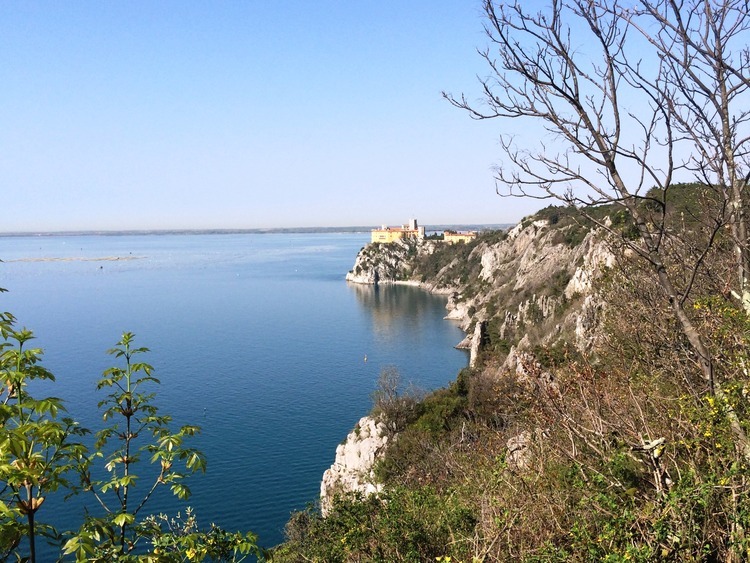 We then take a second lovely walk along another evocative trail, the Napoleonic Way, which winds its way along the karst cliff 350 metres above sea level offering magnificent views of Trieste and its gulf. The lovely views, the backdrop offered by the Mediterranean scrub and blue sea are perfect for amazing camera shots which will become fantastic memories. We recommend wearing hiking shoes and sports clothing. This excursion involves 2 hours walking on uneven surfaces, therefore it is not recommended for guests with mobility problems. The Rilke Trail is not suitable for pushchairs.